March madness has hit Montpelier. 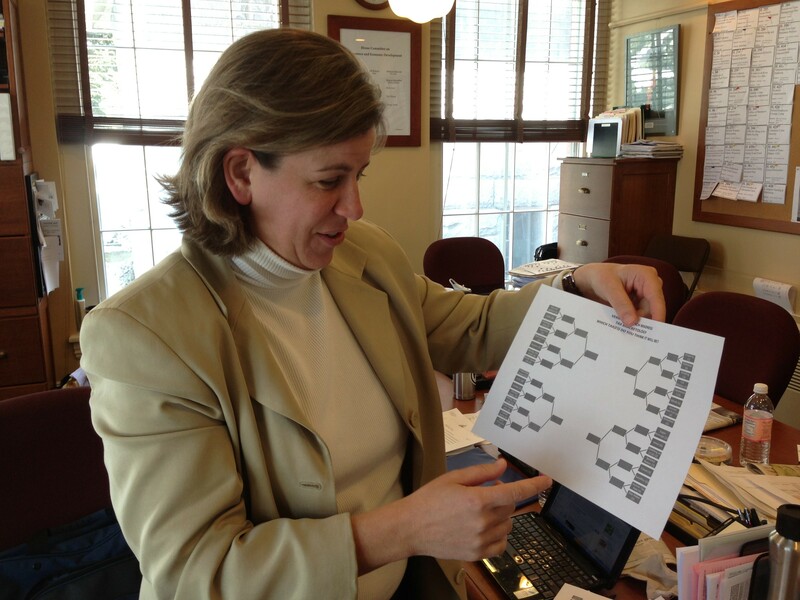 As she sat in committee yesterday, Rep. Heidi Scheuermann (R-Stowe) was eyeing her NCAA tournament bracket alongside a list of potential revenue sources legislators are considering to plug the state's budget gap. Then it dawned on her: It's as tough right now to figure out what the legislature will wind up taxing as it is to predict who'll make the Final Four. "It's madness! Really, I was just thinking it's madness," Scheuermann says. "It's like we're playing darts. We'll try this and then we'll try this." And so, another bracket was born. 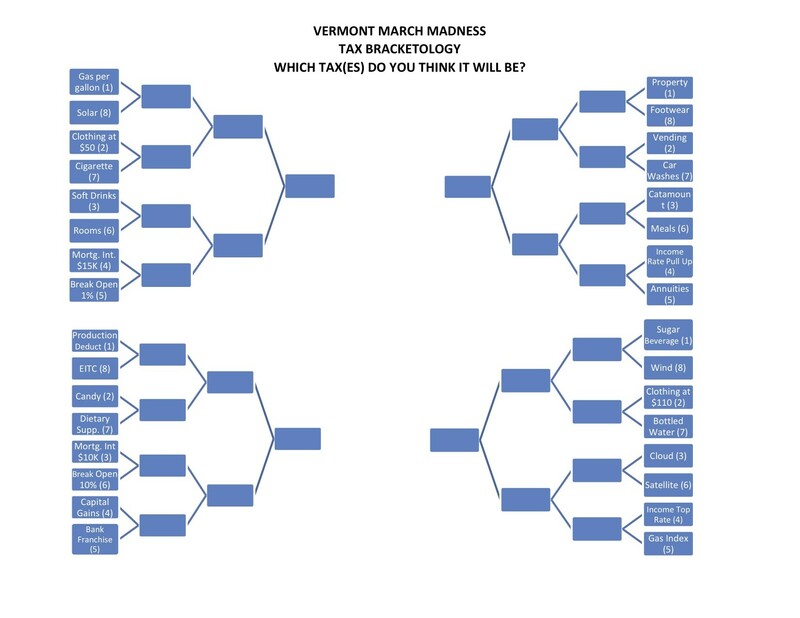 This morning Scheuermann slipped copies of her "Vermont March Madness Tax Bracketology" in every mailbox in the Statehouse. Throughout the day, legislators have been spotted filling them out. Among the top-seeded taxes in Scheuermann's bracket? Sugar-sweetened beverages, gas, property and production deductions. The long shots? Solar, wind, footwear and the Earned Income Tax Credit. "It seems like it's all talk about the revenue instead of saying, 'Are there opportunities to save some money somewhere?'" she says.